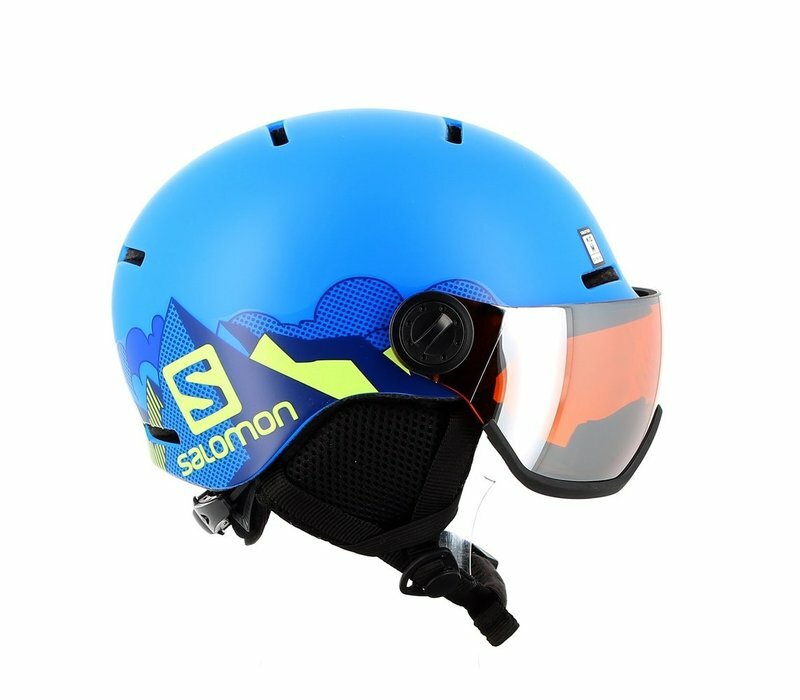 The new Salomon Grom Visor helmet offers convenience and protection for little riders and means you won't have to search for their goggles every morning. 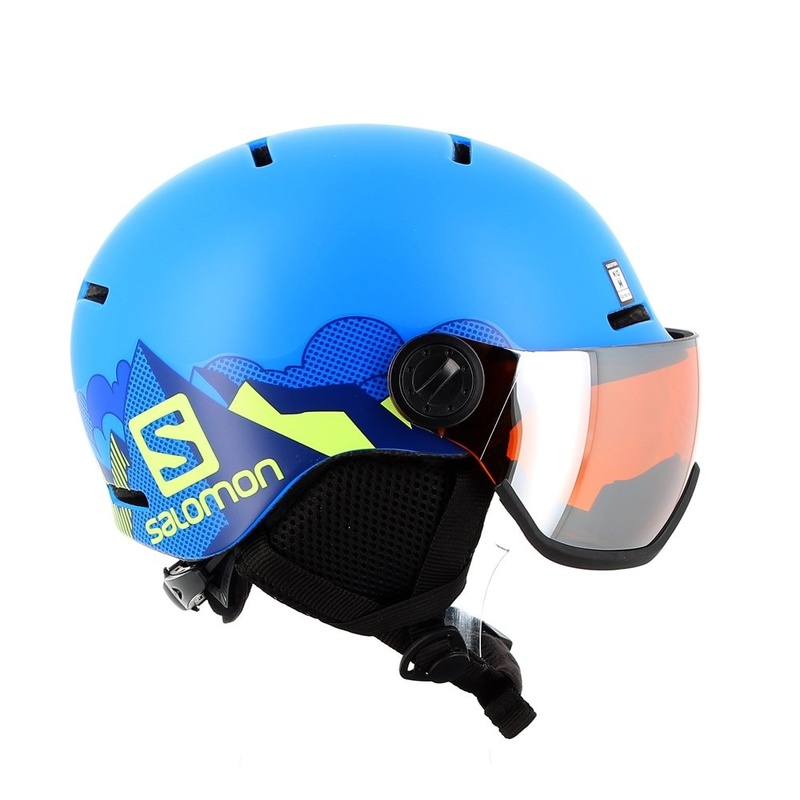 Visor helmet with integrated Salomon's exclusive lens technology FLASH TONIC ORANGE S2 (vlt 22%). Never lose your goggles again.